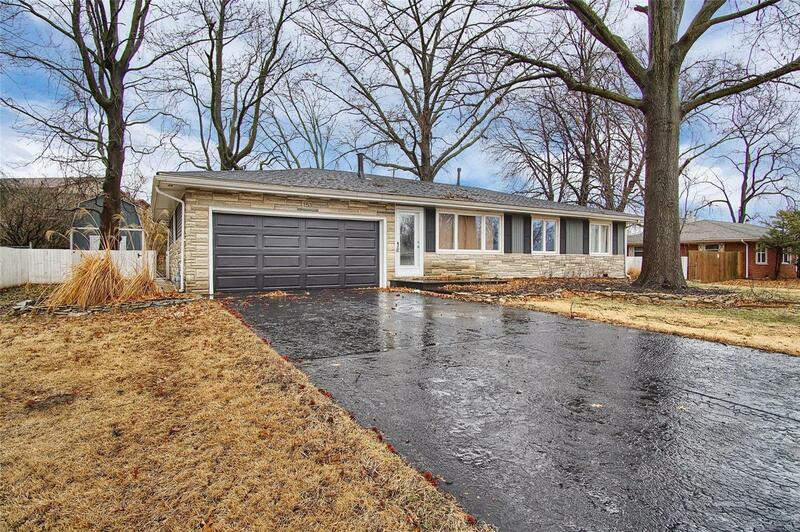 Enjoy this beautiful, recently fully refurbished ranch home. Welcoming living room with gas fireplace opens to your fantastic kitchen which includes stainless steel appliances, white custom cabinetry, granite countertops, center island & hard wood flooring. Off the kitchen is a dining room with access to your large backyard, full bath & large laundry/utility room. All three bathrooms feature custom tile-work & beautiful vanities. Your new home boosts 3 bedrooms including the master bedroom ensuite which has a newer addition with a walk-in closet. Incredible recent lighting, ceiling fans, windows, AND paint throughout. Heated two-car garage. Your fenced-in backyard is perfect for entertaining with a deck, patio & huge fire pit with seating plus a utility shed. Enjoy the quiet, friendly neighborhood with easy access to the YMCA, bike trails, shopping, restaurants & schools as well as SAFB & St. Louis. This house is move-in ready! Call your favorite agent to see it before itâs gone!